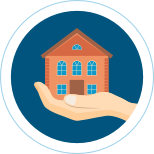 Use our attorney-drafted Affidavit of Title to assure buyers that the property you’re selling will legally belong to them upon completion of the transaction. The Basics: What is an Affidavit of Title? 2. What is an Affidavit of Title? An affidavit of title is a document created by a seller, and designed to protect the buyer of some type of property. The property may be a home, including a town-home or condominium. It could be a cottage or vacation property. It might be a piece of land with no buildings on it. An affidavit of title does not distinguish between these types of property. In the affidavit, the buyer makes several statements under oath. A detailed list of any and all liens on the property or a representation there are no liens on the property. Why Are These Confirmations and Details Important? With few exceptions, only the owner of the property can sell the property in question. A confirmation of ownership provides the purchaser with assurances both that the seller is the true owner, and that they are the only owner of the property. When someone is in bankruptcy proceedings, there are limits on what they can do with their possessions, including property. During bankruptcy, another person, called a trustee, decides whether a property can be sold, and under what conditions is can be sold. The property owner must get permission from the trustee to sell the property. Consequently, an Affidavit of Title assures the purchaser that the owner is in a position to make decisions, such as selling the property. Obviously, it is illegal to sell the same piece of property to more than one person. Nonetheless, it has been done often enough that assurances are required in an Affidavit of Title. This assures the purchaser they are the only one giving money to the seller in exchange for title to the property. What is a lien, and what types exist? A “lien” is a claim a creditor has either acquired or been granted by the owner of the property. A lien won’t prevent a sale of the property – it just dictates who gets the money from the sale, and in what order. A title company or attorney should make sure the liens are paid off and the title is cleared before passing the title to you. If a property is free of liens, this means no one has a financial interest in the property other than the property holder. This assures the purchaser the property owner is free to sell the property to anyone they choose, without obligation to others. There are several different ways a lien might be placed on property. For example, when a homeowner takes out a mortgage on the property, the mortgage company places a lien on the property for the amount of the mortgage. If you own a condominium and you fail to pay your homeowners association (HOA) dues, your HOA will take action. Depending on the bylaws of your association, they may be able to place a homeowners’ association lien on your property for the amount owed. Imagine you hire a contractor to perform work on your home, and then don’t pay the contractor, who then sues you for payment. If they’re successful in winning a judgment against you, they have a right to place a mechanic’s lien on your property until you pay the amount owed. Finally, if you fail to pay your federal income taxes, the government can put a federal tax lien on your property. The government’s federal tax lien always takes first priority in the order of paying the liens. In other words, if a property has a federal tax lien of $25,000, and a mechanics lien of $25,000, and the house is sold for $30,000, the federal tax lien is paid first and in full. The mechanics lien is paid to the extent there are funds left over to do so. An Affidavit of Title is sometimes referred to as a General Title Affidavit or a Seller’s Affidavit. The affidavit may contain additional information about the property. The sample affidavit of title below is a record of the ownership of property by ‘Seth Martin’. The affidavit details what property Seth Martin owns, as well as whether or not he has declared bankruptcy and any liens and encumbrances he may have had. An affidavit of title provides evidence that the owner is, in fact, the owner. Being sold property by a fraudulent non-owner is a common real estate scam. An affidavit of title also provides you information about whether or not the property can actually be sold. For example, if the seller is currently in bankruptcy proceedings, they must get approval from a trustee before they can sell the home, which can take a significant amount of time. Additionally, the affidavit will also confirm that the seller is not in the process of also selling the property to someone else. If there are any boundary disputes. In summary, an affidavit of title provides security to a purchaser should there be a subsequent challenge to title. If you are the owner of the property, an affidavit can provide assurances to the purchaser, which were outlined above. These assurances include both that you are who you say you are, and that you are free to sell the property at your discretion. Whether you are buying or selling property, the creation of an affidavit of title takes little effort. It can protect both buyers and sellers, so there really is no reason not to execute one. 4. What are the Consequences of Not Having One? Sellers subject to power of attorney due to failing mind. Property subject to federal tax or other government liens. Property subject to bankruptcy proceedings. The consequences of not having an affidavit of title are many, and none are favorable to the purchaser. If the purchaser buys the property without knowing, for example, there is an assessment on the property for new sidewalks and curbs, this does not excuse the new home owner from responsibility for paying for the assessment. If the home is the subject of an HOA lien, the HOA may have claim to the property, despite the fact you gave the seller money in exchange for the title to the property. Any seller reluctant to provide an affidavit of title should be viewed with extreme caution. Does Title Insurance help to negate those consequences? Title insurance is insurance you purchase from a title company, and protects purchasers from financial losses if there is a lawsuit attacking the title. It also protects new owners from monetary losses due to unknown restrictions on the title, such as a lease, easement, or city lien for street maintenance. While an affidavit of title is a good idea for any sale of property, title companies who offer title insurance require them. Because title companies require them, most mortgage lenders will also require affidavits of title. Title insurance is a low cost way to protect yourself and your property from unexpected surprises. 6. What Should an Affidavit Include? Affirms there are no bankruptcy proceedings. I have a bankruptcy on my record. I don’t think that is anyone else’s business. What happens if I leave it off my affidavit of title? Do not misrepresent any facts on your affidavit of title. In this document, you are affirming under oath the truth and veracity of your statements. Misrepresentation, at best, could be construed as fraud. I want to buy a property, but the owner is refusing to sign an affidavit of title. Should I be concerned? The person is not authorized to sell the property for some other reason. I checked my title, and it lists a mechanics lien on my property for work done by my contractor last summer. After they put the mechanics lien on my property, I paid what I owed them. How do I get this lien off the title? I have checked my title, and there is a lien on my property. I didn’t pay child support for a while, and the government put a lien on my house. How do I get rid of the lien? First, you have to pay the amount owed. Next, ask the court to release the lien. How does a lien holder release a lien? A lien holder releases a lien by filing a form called a Release of Lien on Real Property, notarizing it, and recording the document at the county recorder’s office. I paid cash for a property. Now I have discovered there is a mechanics lien on the property. Shouldn’t the old owner keep responsibility for the lien? Liens stay with the property, not the person who owned the property. Consequently, the mechanics lien is now your responsibility.